Tanmay Bhat is a well-known Indian stand-up comedian, script writer, producer and the co-founder of the popular comedy sketch group AIB. He has earned his fame with his revolutionary take in the comedy world, keeping things real and authentic. 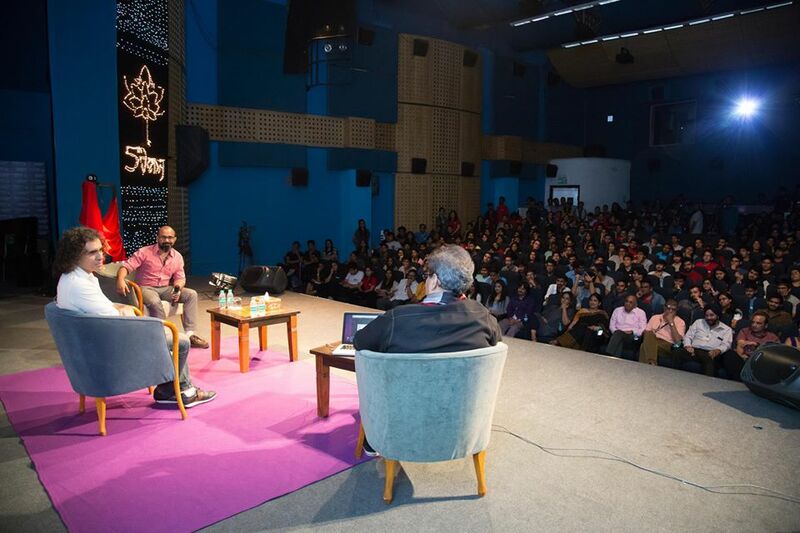 He conducted a 5th Veda session with laughter and immense enthusiasm with the students of Whistling Woods International, sharing his journey into the world of stand-up comedy along with his insights on how to pursue a successful career in comedy. If comedy is your instinct, a stand-up career is your way to go. The new generation is exposed to the limitless world of pop culture, which makes it even easier to find your focus point. Tanmay tells us how he started early in school, stating “I became funny so that people would like me as I did not like myself for the longest time.” That’s when he discovered his inclination towards comedy. “The script is the soul of a comedy act”, Tanmay states as he explains the importance of in-depth research and observation involved behind the creation of a comedy set. He supported his statement by citing examples from his highly recognised roast comedy show – AIB Knockout and his other written works. He advised the students to focus on the aspects of structuring a script, creation of multiple video-breaks and the process of sketch writing. Tanmay quotes that “Comedy is no longer about a joke, it is about the story.” It’s the stories that we stitch with the right words and feel that makes all the difference. One should reflect their own stories with confidence, using the right medium, and you shall surely be on the right path. 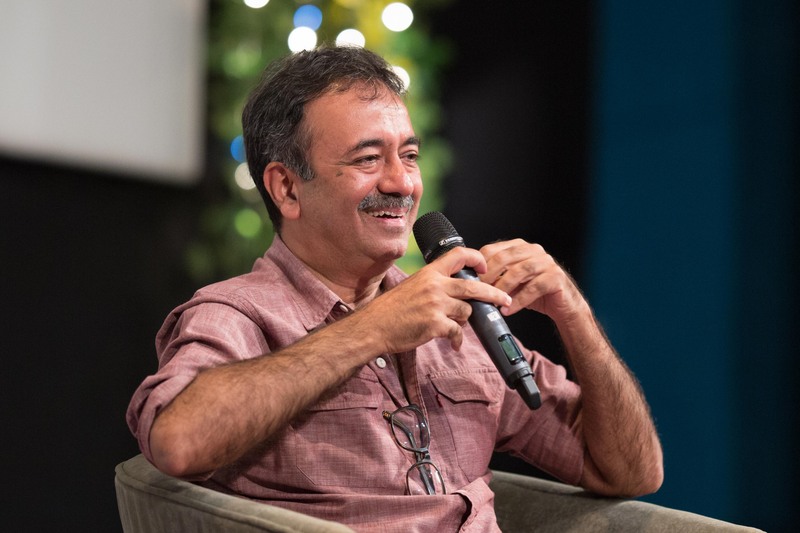 Rajkumar Hirani is a National Award and Filmfare Award-winning director, screenwriter and film editor, best known for the films Munna Bhai MBBS and 3 Idiots, earning him a well-respected place in cinematic history. The filmmaker led a 5th Veda session with the students of Whistling Woods International, sharing some tips on filmmaking and beyond. Rajkumar Hirani spent the early years of his career working in the advertising industry, even featuring in a Fevicol commercial. He discussed how his experience in advertising helped him become a better filmmaker. Filmmaking is more than a profession, Rajkumar Hirani believes, elaborating on the learnings he has gathered because of the art. He shared how his perspective on life has helped him craft some of the most successful stories, from 3 Idiots to PK. Rajkumar Hirani’s first directorial venture was Munnabhai MBBS, which is now considered a cult classic. It broke all formulaic conventions associated with Bollywood films, skyrocketing his career. He discussed how his success would not have been possible without a collaborative effort from his team. Every element in filmmaking, be it the editing, the actors, the sound, the cinematography, contributes to the final product and should be done in sync with one another. 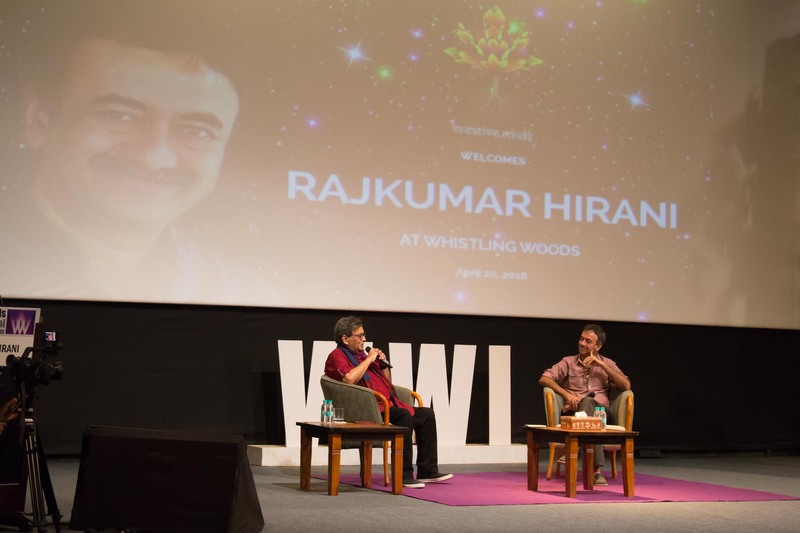 Quoting an idea that he used as the ethos of his film 3 Idiots, Rajkumar Hirani ended the session by encouraging the students to not just chase success, but do what they love. The media and communication industry is a rapidly-growing one, harboring a vast number of creative professions. Here are a few tips for those who aspire to make their way into the world of media and communication. I believe that the philosophy of “Do What You Love”, combined with hard work, it can help you reach great heights. You can study your course but if you’re not passionate about it, then it doesn’t matter. Similarly, you could be talented, but if you aren’t hard-working, then success will not come your way. Media and communication, as the latter suggests, is more than learning the ropes of the media industry. It’s about the art of communication and storytelling. Performance isn’t limited to being in front of a microphone or a camera. You have to have a love for storytelling and performance that goes out to an audience. They say that with great power comes great responsibility, and media is definitely a great power. You need to be conscious of what the world and the society needs. Media gives you that platform to reach out to each and every one, so you have to be capable; you must grasp the responsibility it carries & be able to shoulder it. I believe that students should always get a holistic experience. You should have the chance to explore your potential, so I’m always encouraging our students to do just about anything and everything that interests or fascinates them. Every student should get a chance to interact with every aspect of the creative and performing arts, as well as collaborate with people from every part of the industry. I think the level of fluidity you get here is something that no other place can offer. Laili Dutta is the Head of Department at Whistling Woods International School of Media & Communication. Admissions are now open. You can register for Whistling Woods International School of Media & Communication here. Animation is an ever-evolving industry and we, at Whistling Woods International, make it our goal to keep up with it. Here are a few tips for those who aspire to make their way into the vast world of animation. It’s a time-consuming effort, and the output comes in after a great deal of hard work as compared to live-action filmmaking. Rewards are very much present, but if you have that kind of passion, dedication, and commitment, then you will be able to see an output in the end. It’s a mistake to think of animation as something that is only technically done with computers. No creative field is done through its tools, whether it’s a simple pencil and paper or whether it is a computer. The creative tool here is the mind. In order to be able to tell stories, you should be informed, to know stories. It is very important to read and understand great writers and how they have told their stories; to see great films and how the directors have fashioned and shaped those stories. It is important not to focus on just what you like, but also to understand why you don’t like something. It’s crucial to know your audience. Maybe it’s time to get out there. Try not to be cocooned into your own little world of just you and the computer. That won’t be enough; get into the market, see films in the theatre, and understand what the audience is talking about. That’s how you will know how they are responding to your work. The opportunities, however small they may be, for putting your work out there is enormous. The internet has opened up fantastic possibilities. There are websites where you can upload your videos and they can be seen by millions of people if they find it attractive. Put your talent out there. You will get recognised and you will be able to see the fruits of your labor along with recognition for your work. Yusuf Mehta is the Head of Department at Whistling Woods International School of Animation. Admissions are now open. You can register for Whistling Woods International School of Animation here. 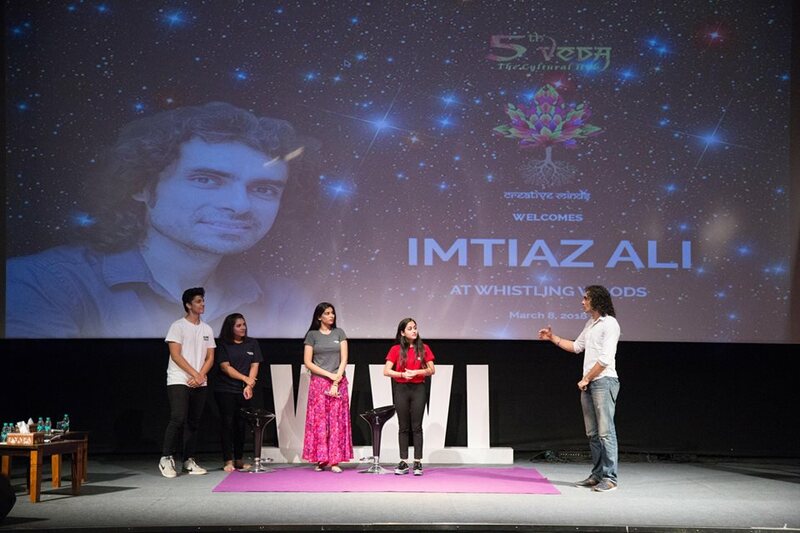 Bringing his immeasurable experience and vast knowledge of the Indian film industry forth, Imtiaz Ali, director of movies such as Highway, Tamasha, and Rockstar, conducted a 5th Veda session at Whistling Woods International. 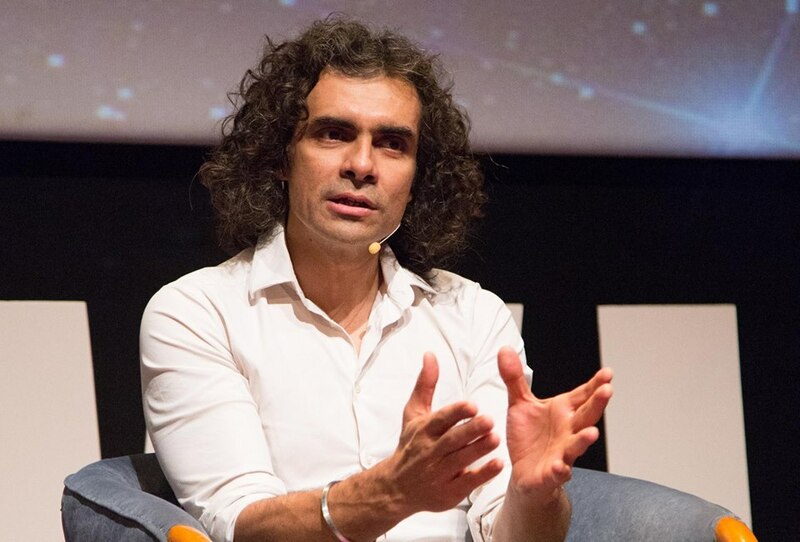 Every 5th Veda session brings forth invaluable insights and this interactive session with Imtiaz Ali was no exception. During this session, the filmmaker shared some memorable tips for those who wish to venture into the world of cinema. 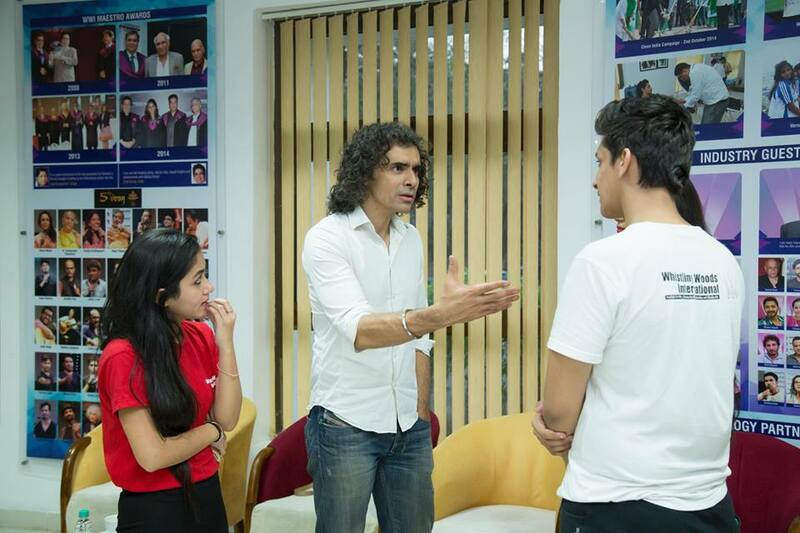 Failure is an integral part of success, and the inspiring session with Imtiaz Ali was a testament to that. 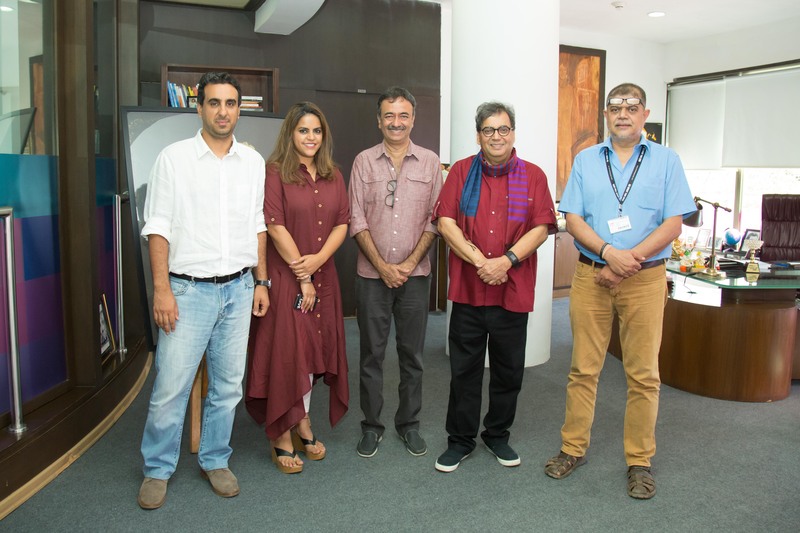 The acclaimed filmmaker shared his journey into the world of Indian cinema, conveying how some of his failures led to his success, with the students at Whistling Woods International. Imtiaz Ali looked back on his first film, Socha Na Tha, which is known as a fan-favorite today. 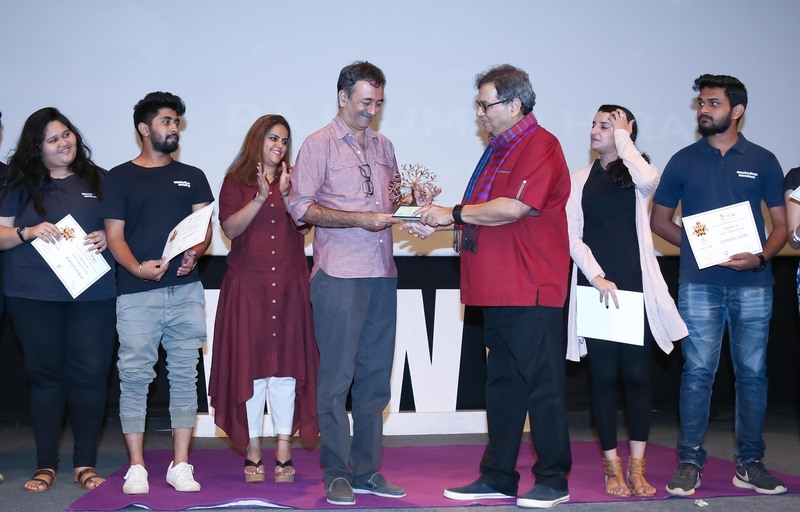 The filmmaker spoke about the struggles he faced in the early years of his career, and how he had to learn certain skills and the know-hows of the industry on his own, as he didn’t have access to a film school. Having presented a number of acclaimed films to Indian cinema, Imtiaz Ali spoke about learning every facet of filmmaking, not just direction. He also conveyed that the success of a good film is directly proportional to the rapport that one shares with their team. The most important thing about having a passion is to pursue it against all odds. Imtiaz Ali elaborates on this philosophy of going after what you love, talking about the importance of following your passion. While filmmaking is his true calling, the acclaimed director talks about having other creative outlets such as writing lyrics and poetry, that sustain and rejuvenate the creative senses. Even today, many creative fields, especially the fields of animation, design, filmmaking, etc, are led by men. It’s not hard to find and name the best men in these fields. Establishing a space for women who conquer these fields is still a work in progress, and yet, there are those who have achieved excellence against the odds. Let’s honor a few of these talented women that have created an impact that shapes the innovation and creativity in the future. Alankrita Shrivastava made her mark in independent filmmaking after the success of her most recent film Lipstick Under My Burkha. Having worked with Prakash Jha on several projects, her bold and undiluted style of storytelling undeniably captivated the masses. Anuradha Pal has established her place as the Tabla virtuoso across the globe. Considered one of the most skilled tabla players in the world, she is also dubbed the “first professional female tabla player in the world” by Encyclopedia Britannica. As a disciple of Ustad Alla Rakha and Zakir Hussain, she has performed at the most prestigious and varied venues in the world, including the Woodstock Festival. Twenty-five year-old Rupi Kaur is considered one of the most renowned modern poets today. This Indian-Canadian poet, writer, illustrator, and performer already has two published books under her belt and has used social media as a tool to explore and share her talent with the world. Not many graphic designers or illustrators can say that they have been recognised by a name such as Photoshop on an international scale. Shivalini Kumar, an India-born and Denmark-based graphic Designer and Illustrator, is one of the few who can acquiesce to that. She was featured in the brand’s 25 Under 25 list, and for good reason. Having worked for brands such as Warner Bros and making her mark in the world of design through Chumbak’s idiosyncratic stylization, she’s an incredible example of how skill and success can go hand-in-hand. Model-turned-actor Nimrit Kaur has had an interesting journey, having played several groundbreaking and strong female characters. After starring in the critically acclaimed films Peddler & The Lunchbox, she went on to act in the hit American TV show Homeland. Masaba Gupta is known for her quirky and creative collections, taking inspiration from unusual muses, for instance, Roman Payne’s novel, The Wanderess. Her style is a mix of contemporary and traditional, which she blends together with utmost finesse, resulting in her growing popularity among present fashion lovers. Her unusual taste in fabrics and design makes her stand out from the many famous fashion designers in India. In the male-dominated industry of media and advertising, Anupriya Acharya, CEO of the Indian sector of Public Media has made a name for herself. With over 20 years of experience in the industry, she’s known as one of the most remarkable women in advertising. Her work, as well as the work of the other women on this list, is a source of unending inspiration to every creative professional in India and beyond. Visual Communication Design is a burgeoning industry, with more youngsters getting interested in pursuing formal education in this specific area of design. Milindo Taid, Department Head at the Whistling Woods International School of Design has a few tips for all the young aspiring visual designers in the country and beyond, who wish to pursue their dreams. Design requires that you solve someone else’s problem and therefore calls for a zeal to participate in the lives of others, for which, you have to be a people person. “Design is, first and foremost, about people and communities, and empathy is a core requirement.” Designers need to be naturally empathetic. The Whistling Woods International School of Design offers a cohesive and comprehensive programme in Visual Communication Design for all aspiring designers. Admissions are now open. You can register for Whistling Woods International School of Design here. Prof. Milindo is former faculty in Communication Design at the National Institute of Design (NID), Ahmedabad and former Head of New Media, NID. He is also one of the founding faculty members of the Communication Design programme at the MIT Institute of Design, Pune. 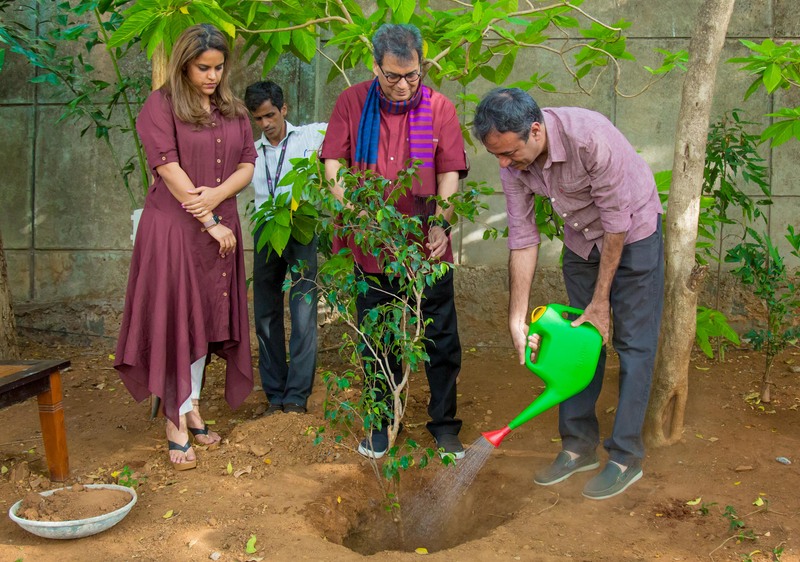 With over 19 years in teaching, research and academic administration across India and abroad, several student projects that he has guided have had national as well as international recognition. He is a recipient of a European Union doctoral scholarship at the Universitat Politècnica de València, València, Spain.